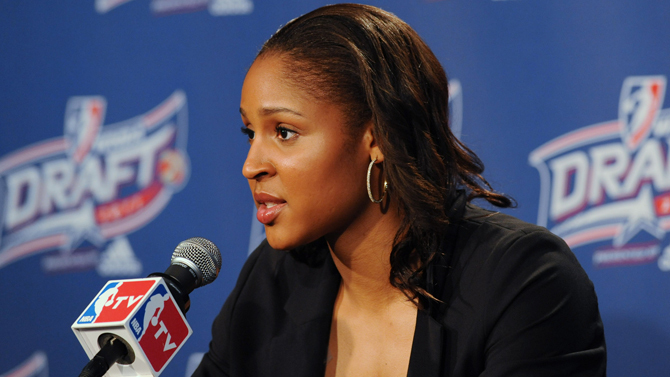 Watch Maya Moore address the media following the announcement that she was taken first overall by the Minnesota Lynx. In addition to Moore, see what other draft picks had to say with regards to the new cities and fans that await them in 2011. 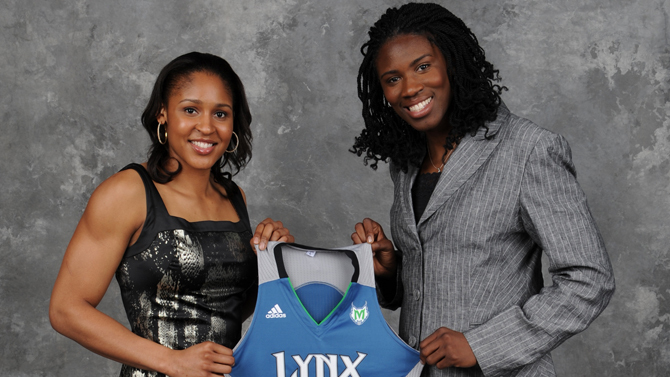 The Minnesota Lynx introduced 2011 first-round draft picks Maya Moore and Amber Harris to the media on Tuesday. Check out the full coverage from Minnesota. WNBA.com's Scott Stanchak provides an inside look at Maya Moore's day as a No. 1 draft pick as he followed around the six-foot forward from the time she woke up in Hartford to the minutes after she found out she was headed to Minnesota. 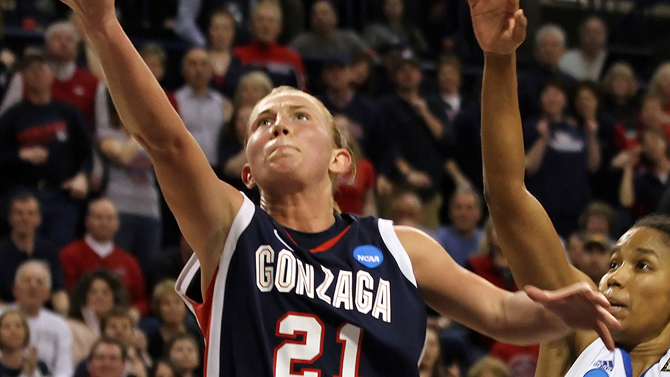 Gonzaga's Courtney Vandersloot, the Chicago Sky's third-overall pick in the 2011 WNBA Draft, blogs about her weekend in Connecticut, the excitement surrounding the big day and what she has in store as training camp approaches. WNBA.com's Frank Della Femina and Scott Stanchak review the top picks in the 2011 WNBA Draft, how they will look to impact the league in the season ahead and discuss the trades that were carried out shortly after the draft was complete. 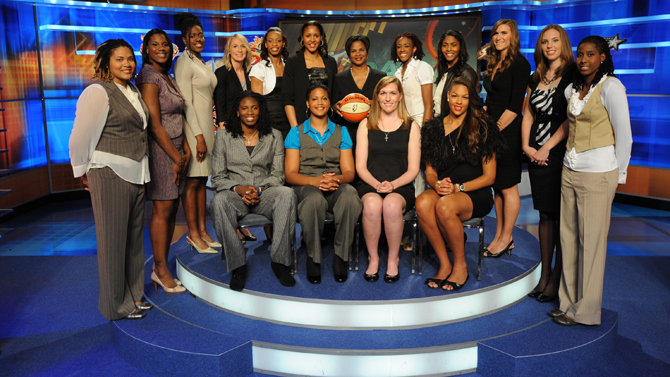 Browse through an assortment of photos from the 2011 WNBA Draft including live shots from the ESPN studio, portraits of players in their formal wear and with their team jersey. 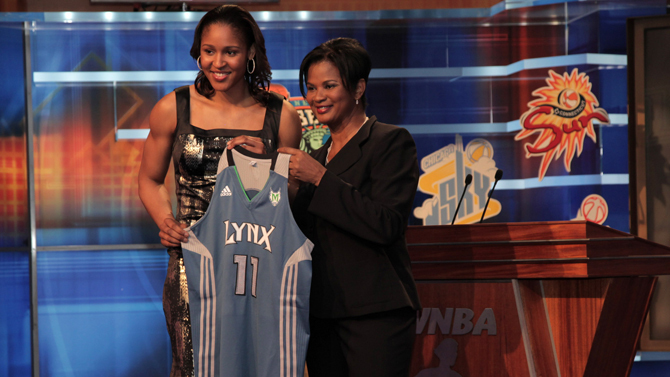 The Lynx made Maya Moore the top overall selection of the 2011 WNBA Draft presented by adidas. 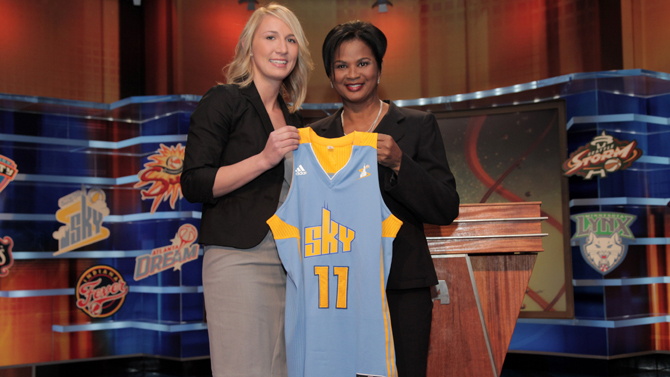 Elizabeth Cambage, selected second by the Shock, and Courtney Vandersloot, tapped third by the Sky, rounded out the top three. Gonzaga point guard Courtney Vandersloot has been compared to NBA legend John Stockton, the NHL's Wayne Gretzky and the Seattle Storm's Sue Bird. Given her ability to become the first player in Division I history to amass 2,000 career points and 1,000 career assists, there's a good chance she will one day be someone players are compared to. 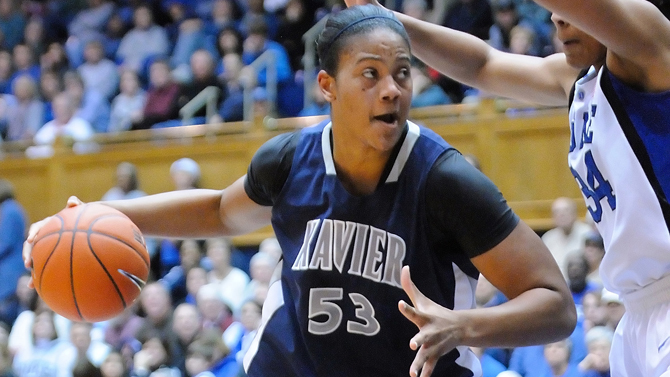 If size is expected to go early in the 2011 WNBA Draft, then Ta'Shia Phillips may go sooner rather than later. The 6-foot-6 center out of Xavier has just that. Combine that with a strong defensive mindset and a willingness to learn, and she may very well be a prime target for any team looking to build down the middle. 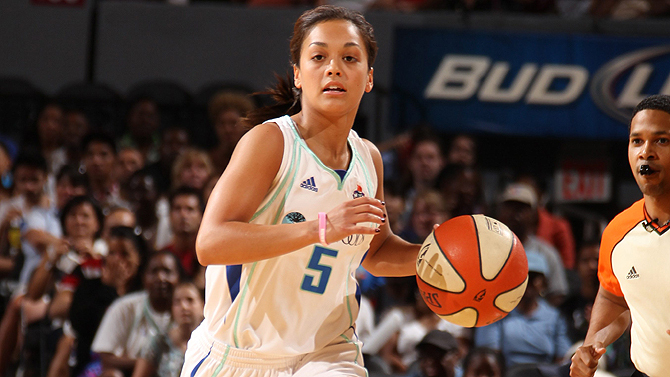 Read Ta'Shia's Q&A with WNBA.com. Fifteen members of the 2011 Draft class took part in a series of fitness activities at ESPN Studios in Bristol, CT Sunday afternoon in preparation for the upcoming draft. Over 100 participants enjoyed jumping rope, shooting hoops and rebounding drills alongside the incoming rookie class. 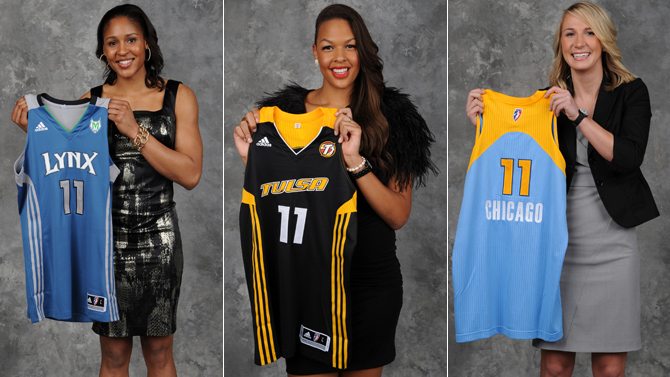 In anticipation of the 2011 WNBA Draft, Sun players shared their memories of what it was like the day that they were drafted. See what several members of the Sun, including Asjha Jones, Renee Montgomery and Tina Charles, have to say. With the 2011 WNBA Draft approaching, NYLiberty.com was able to catch up with Liberty point guard Leilani Mitchell about her draft day experience. After three years at Idaho and one year at Utah, the 2010 season's most accurate three-point shooter (.486) was selected 25th overall in the 2008 Draft by the Mercury and was traded soon thereafter to the Liberty. Maya Moore talks with the media after being chosen by the Lynx in the first round. Keep up with the latest player moves with WNBA.com's Player Movement Central. Look back at the No. 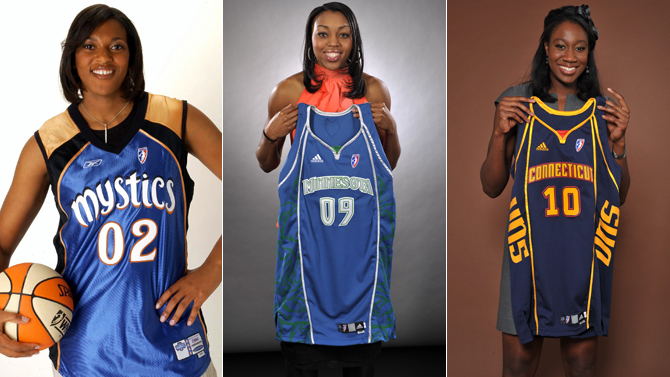 1 overall picks from every WNBA Draft with this photo gallery. The 2011 preseason opens May 24 with the Fever facing the Lynx in St. Paul, Minn.
Gear up for the 2011 season with the latest gear from the WNBA Store. 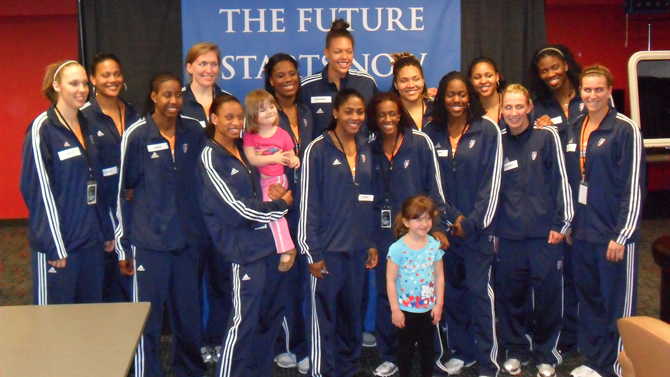 The 2011 WNBA All-Star game will take place in San Antonio on July 23. Keep up with your favorite players while they are playing overseas this offseason.